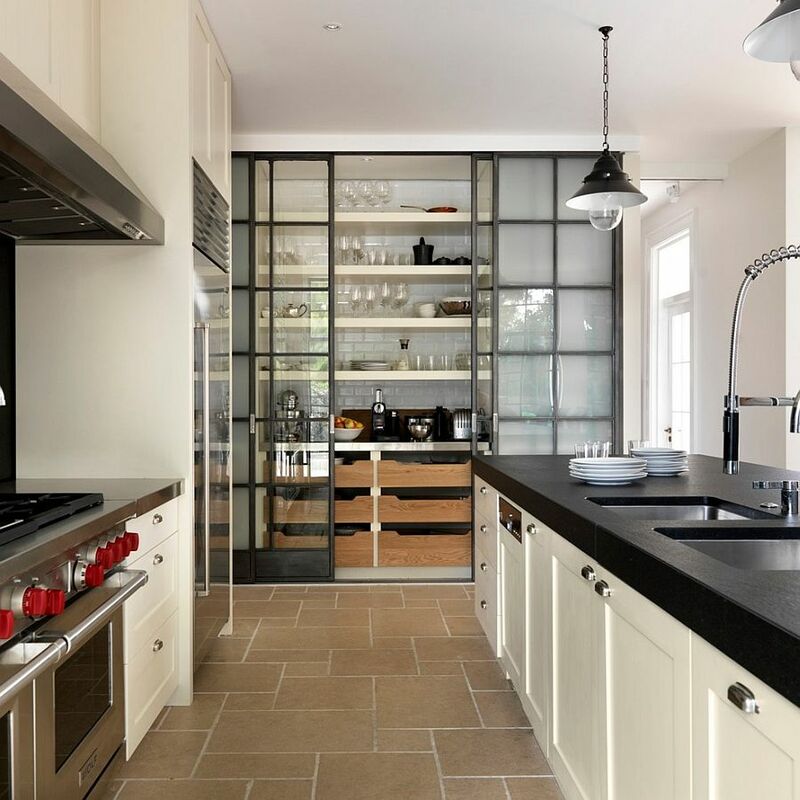 Planning for the perfect kitchen is an exercise that often involves maximizing space without compromising on form. 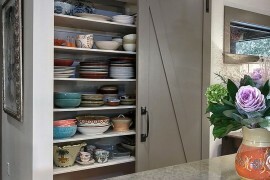 It is a delicate balance between the two that really brings to life your dream kitchen. 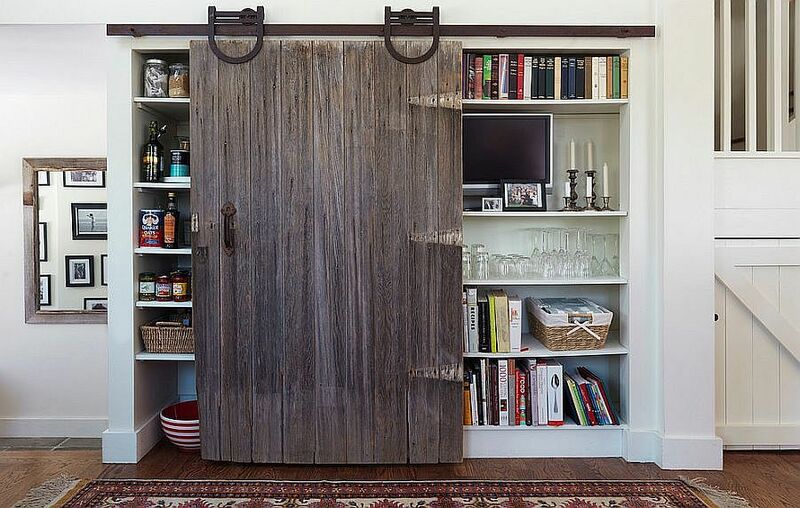 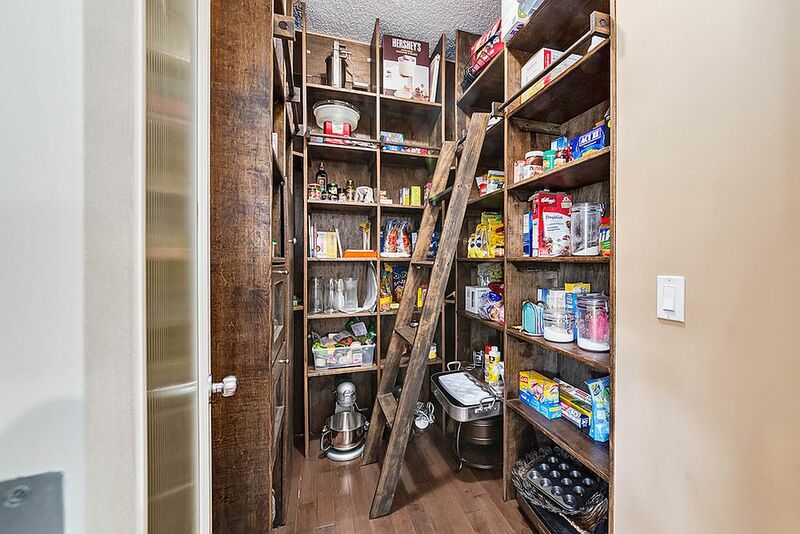 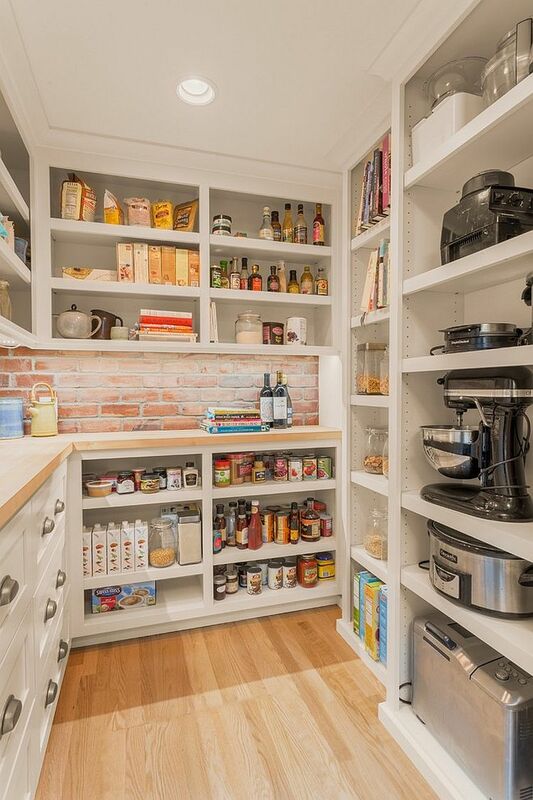 A pantry plays a huge role in it all. 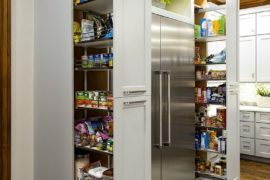 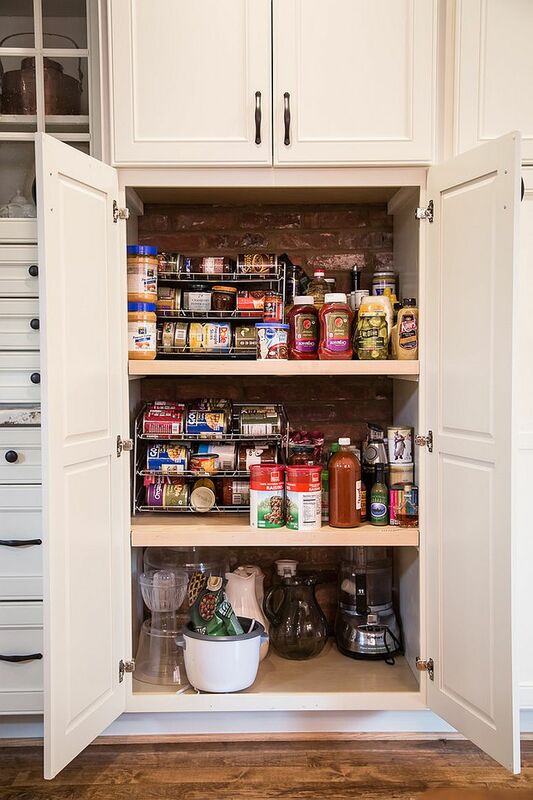 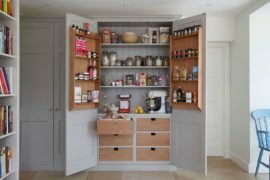 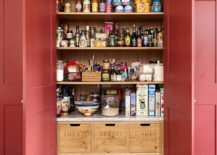 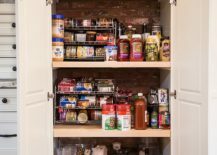 Whether you cook ever so rarely or love to regularly serve up sumptuous meals for your family and friends, there is always a pantry out there that perfectly serves your needs. 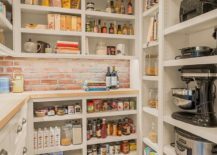 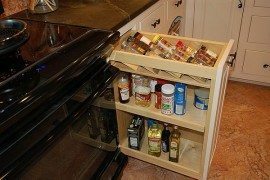 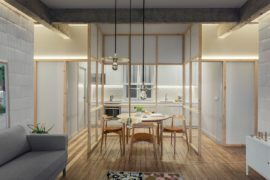 And unsurprisingly, it is often shelf space, lighting, storage room and placement of the pantry that we tend to focus on. 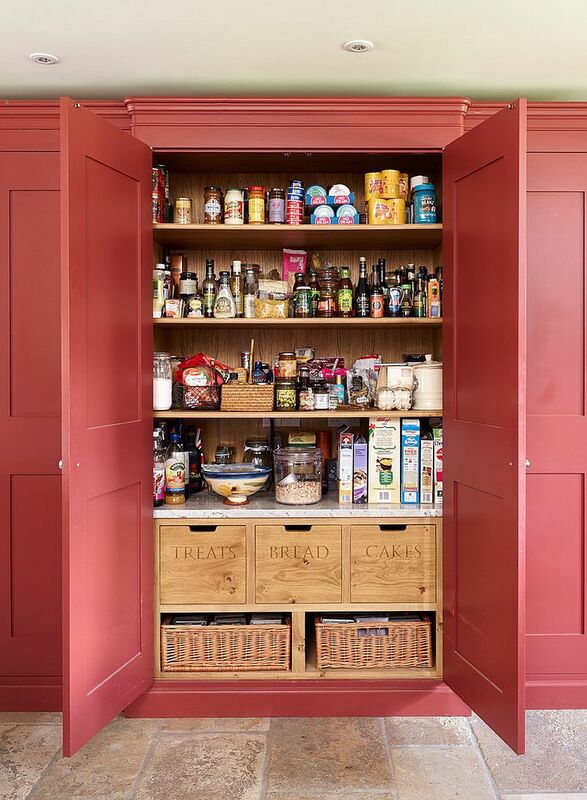 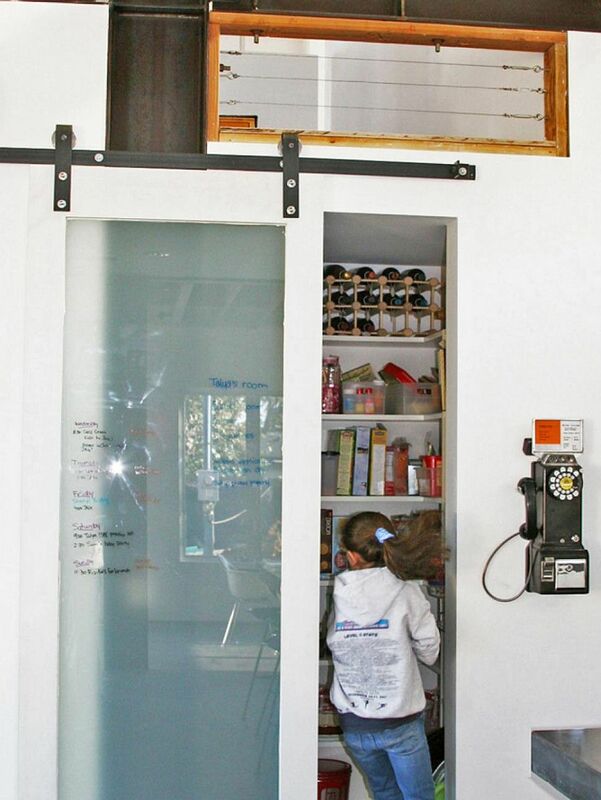 But even the most space-savvy pantries need to be aesthetic as well! 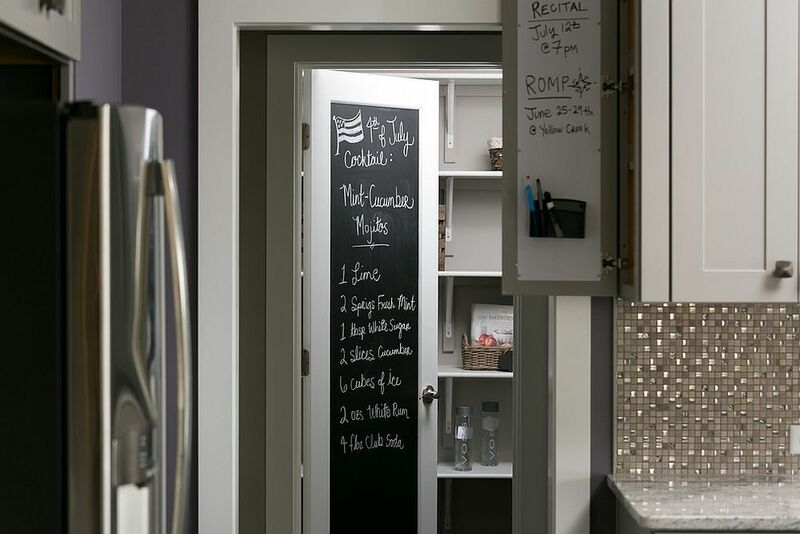 Bored with the simple and the mundane? 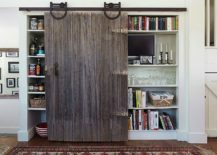 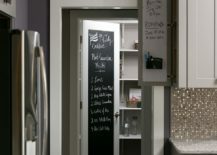 Chalkboard doors for the pantry surely help in moving away from the usual and deliver a striking focal point in the modern kitchen. 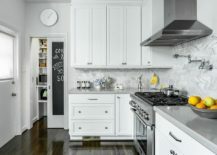 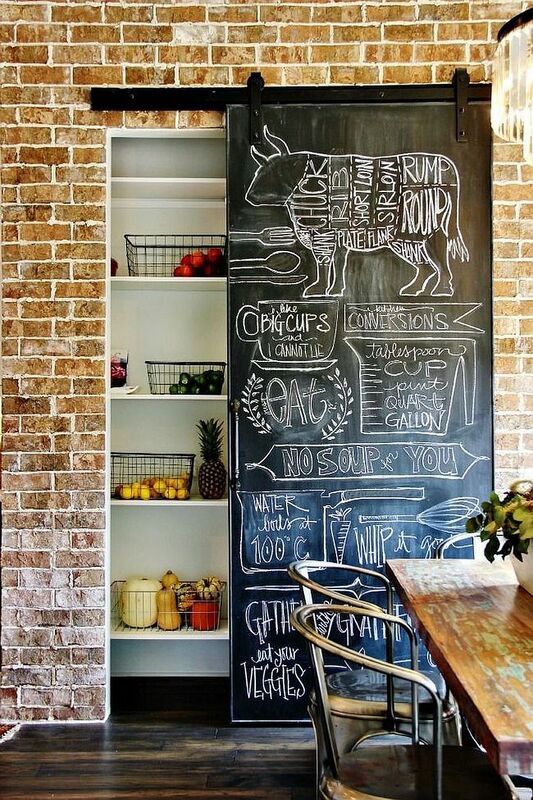 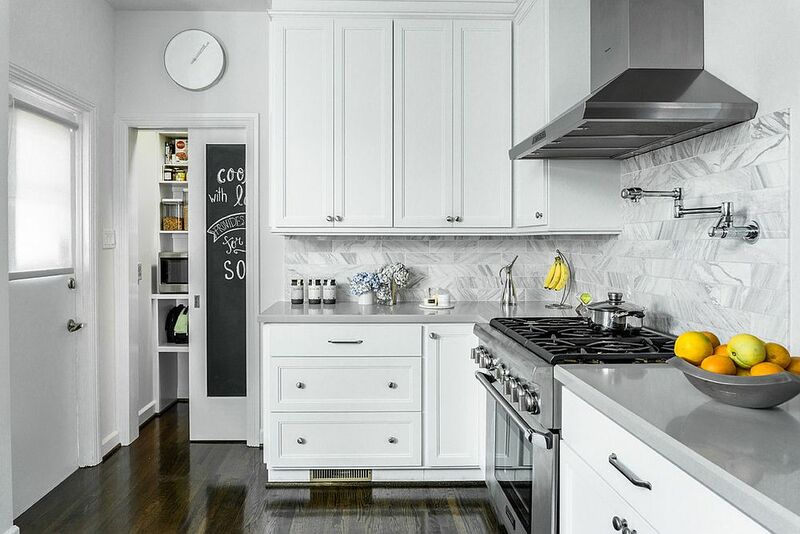 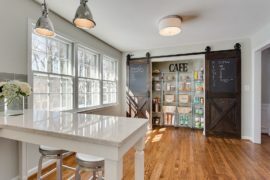 Chalkboard doors offer much more than a dark, visually unique surface in the kitchen. 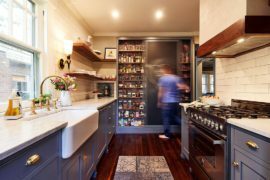 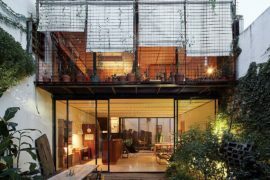 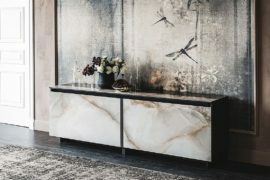 They also are a practical choice and let you chalk down everything from ‘to-do’ lists to a quick message to a family member coming home from work. 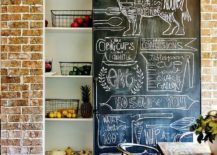 It essentially becomes the communication center of your kitchen on busy weekdays and those blessed with artistic skills (or have little ones around) can also use it as a lovely, blank canvas!